A 19-year-old student has been arrested for hosting Wii-modding software on his blog. The Saitama prefectural police force announced the arrest of the unnamed Kyoto college student on Tuesday. He's being charged with violating the Unfair Competition Prevention Act, which was recently amended to attach criminal penalties to "the act of providing devices to circumvent technology restriction measures." The Japanese police force's Cyber Crime Unit claims that the suspect uploaded the software - which allows users to bypass the Wii's copy protection without having to crack open the case and risk accidentally soldering their fingers together - hence "softmodding" - to his blog on the 28th of February, and that the software had been downloaded some 6,500 times in the following three months. The police believe the suspect, who's apparently claimed to have made a less-than-stellar 200,000 yen ($2,500) from the ads on his site over the past 18 months, isn't tech savvy enough to have created the software himself. 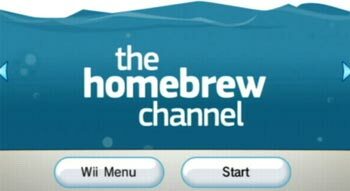 His blog did however, contain information and instructions on how to physically modify a Wii console to play unauthorized software. Earlier this year, two Japanese men were arrested under the same law. One for physically modding Wiis and the other for selling flash cards for the Nintendo DS. Both of those cases involved money changing hands, whereas the suspect in this current case provided no services or goods, and made his money from advertising, making his arrest a first in Japan according to police.